Running is a popular pastime here in Austin. We see quite a few patients with runner's injuries at Texas Orthopedics, like sprains and strains or tendonitis. It's not fun or something people like to talk about it, but when clothing rubs excessively against a runner's chest, armpits, thighs, or groin, chafing can occur. And if you've ever experienced this painful, rug-burn like sore, it's no picnic. Slathering skin with an emollient ointment, such as Vaseline, along with wearing sweat-wicking tops can reduce chafing. Between these frigid temps and allergies, running outside may require lots of tissues! Running gets all of your bodily fluids flowing, including mucous from your nasal passage. Some runners even experience a cold-like cough when they are running, only to have it stop the second they slow down. Stash a hankie somewhere, or use a bandana tied to your wrist...it will likely come in handy. The urge to "go" while you are on a run can come quickly. There is a lot of jostling motions to your core that can impact the intestines and bladder sending you racing for a restroom on the trail. For a longer run, or an organized race, plan your fluid and food intake the night before so you can know what to expect from your body's digestive system the next morning. And be sure to take note of public restrooms or outhouses along the way before your even gets underway. When we say black toenails, we're not talking about a trendy new hue for pedicures. Runners can bet these not-so-pretty toes when shoes don't fit properly, especially if they're too small. Blood blisters literally form under the nail. It's a good idea to get your shoes professionally fitted if you are a frequent runner, and invest in good-quality socks to keep both your toenails and feet healthy. If any of these symptoms are persistent or severe, please contact us for an appointment. 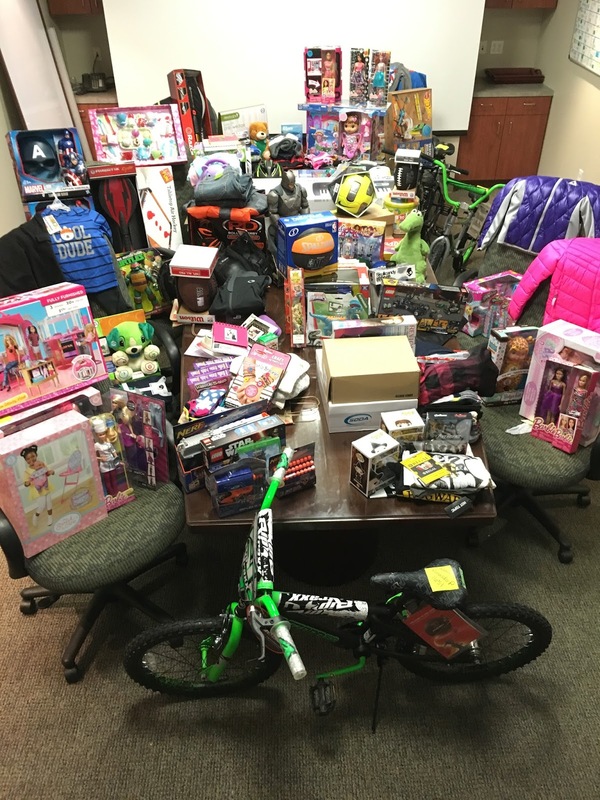 Texas Orthopedics recently helped make the holidays a bit brighter for many local kids through the Partnershipsfor Children’s Holiday Wishes Program and the Williamson County Children's Advocacy Center. 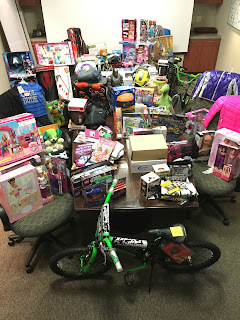 On December 8 and 9, we delivered toys and gifts to the 25 children who were sponsored by our practice this year. Numerous physicians and staff members came together from all of our offices to make this generous contribution happen. We have a long-standing commitment to giving back to the community, especially during the holidays. The Partnerships for Children’s Holiday Wishes Program is one that we love and have participated in for the past several years. There is nothing sweeter than seeing the smile on the face of a child receiving a special gift at this time of year. For a second year in a row, we also partnered with the Williamson County Children’s Advocacy Center. They are a statewide association representing all local advocacy centers while fulfilling the shared mission of protecting and providing for children. We are in awe of the special work that both groups do, and Texas Orthopedics is honored to have the opportunity to partner with them each year after year. You’ve conquered Thanksgiving and made it through the first half of December. Now you’re in the home stretch. But there are still probably a few holiday celebrations lingering on your calendar between now and New Year’s Eve. So how can you successfully navigate these final family dinners, office potlucks, and social soirees and still emerge in somewhat good health on the other side? Offer to bring a dish or a few snacks with you to the party. This way you can plan ahead to make something healthy that you know you’ll enjoy. Or if you know the only fare there will be super-indulgent and not in line with your diet, bring your own food. 2. Don’t ever go hungry. Eat a light meal or filling snacks before even leaving your house for a party. Load up on whole grains, fruits and veggies, and lean proteins so that you aren’t ravenous upon entry! 3. Practice good portion size. 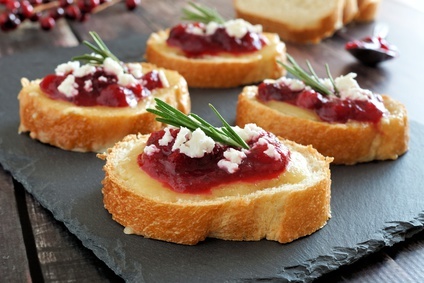 Grab a tiny appetizer or salad plate at the buffet to fill up rather than a giant dinner plate. And drink a full glass of water between helpings to quench thirst and give you time to consider if you really want to go back for those seconds. If you know you are attending a party with a hot chocolate bar, or something that truly is one of your guilty pleasures, then don’t deprive yourself. Enjoy the holiday treat you’ve been looking forward to, but then make sure to eat well before and afterwards to balance it all out. 5. Set your stop watch. Keep track of how long you’ve been somewhere and designate a departure time for yourself. Open-ended open houses that go on for hours often encourage non-stop eating and drinking. It’s a good idea to make a graceful exit after you’ve made your rounds if something is too tempting for your tummy. Finally, remember to get in a little exercise each day during the holidays. You may not have time for a full workout, but a quick walk for 30 minutes, or fitness DVD at home before you head out the door can go a long way in helping you stay fit. We're lucky because our climate in Central Texas allows for golf to be played year-round, and there are numerous accessible, public courses throughout the city, suburbs and beyond. Golf is also one of those unique sports that can easily be played by anyone at any age. No cumbersome equipment is needed, and the basic physical requirements are simply that you can walk and swing a club. A recent study published in the British Journal of Sports Medicine touted the many health benefits of the sports, while also emphatically stating that yes, golf is considered a sport, contrary to what many fitness skeptics say. Whether you walk or drive a cart is the single biggest factor in determining the quality of exercise you are getting on the course. Walking is understandably the optimal option. 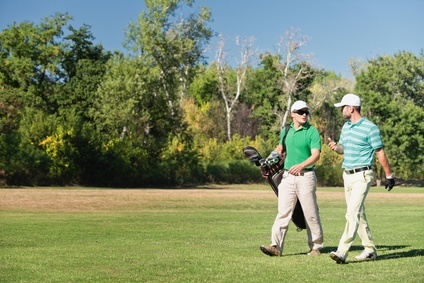 Walking a typical 18-hole golf course will measure about 4 to 8 miles long. The recommended daily amount of walking to reap benefits for adults is 30 minutes, or 2 to 3 miles. Playing (while walking) a round of 18-holes far exceeds that. Golf has been proven to enhance cardiovascular health and also lung function. In addition, golf may help older players with improved balance, flexibility, and even ease minor aches and pains associated with arthritis. The mental health benefits of playing golf are that it can be an uplifting, social escape if played in a group with friends. Or it can be a calming, restorative, almost meditative, ritual if played on your own. If you are experiencing any aches or pains as a result of your golf game, please contact us for an appointment. Baby it's cold outside... I simply must go... get a workout in! Yup, working out in the cold weather can be an invigorating experience with loads of health benefits. We are fortunate in Central Texas where our winter weather is not too extreme. So even though the temps dip down, it is often still sunny with clear skies. Perfect weather for a run, outdoor obstacle course, or paddling on one of our local lakes. Your body is not only burning calories from your workout itself, but also from the energy used in regulating your temperature to keep you warm. Double the burn. It's a win/win. Just as your muscles and body work hard to keep you warm in the cold, your heart has to work equally hard to keep the blood pumping. 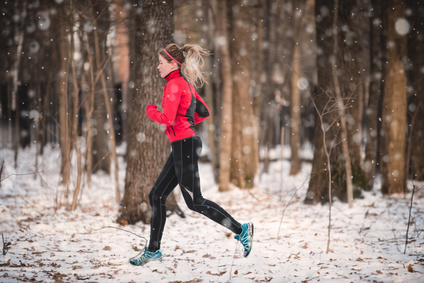 Cold weather workouts can really boost your cardiovascular strength. Contrary to login, you can still sweat a great deal while outside in the cold weather. As your body loses this valuable moisture, your thirst buds kick in and you want a drink. So, if you sweat more, you take in more water, and drinking lots of water is always a good thing. People tend to be more vigilant about warm-up exercises and stretching in cold weather more so than at other times of the year. Mentally you want to "warm up" when you go outside, no matter what your activity, so your body automatically craves a bit of motion in order to get blood flowing and help adjust to the temperature drop from being indoors. Warming up is a crucial part of any workout or sport, so if it becomes part of your routine during the winter, it will likely stick with you as the seasons change. Warming up keeps muscles limber and flexible and can help reduce the risk of tendonitis and sprains and strains. Make sure to dress in several light, breathable layers when you head outside, and don't forget the sunscreen and a hat. The sun's strong rays can be just as damaging in the winter as they are in summertime. It’s easy to stay plopped down in your desk chair at work for hours on end without so much as a twitch. But research has shown that prolonged sitting can do a number on your body. Unfortunately, this is typical in many office settings as people are tied to their desks, sometimes hours on end. Being sedentary for hours at a time can trigger neck, shoulder, and back pain, as well as headaches and other more serious issues like carpal tunnel syndrome, all of which can ultimately lead to decreased productivity and even missed days. Making small adjustments in the way you sit, or maneuver yourself during the workday, can provide numerous health benefits in and out of the office. Consider a standing desk so your legs have constant range of motion and you are able to shift your body more frequently. If seated at a traditional desk chair, check that the seat height is appropriate. Feet should rest comfortably flat on the floor with knees and hips able to bend easily at 90-degree angles. At least once every hour, stand up and take a quick lap around your office floor and/or do some stretching—like reaching arms high up above your head or extending them out to the sides for several counts. Organize “walking” meetings with colleagues, or use a mobile headset if it’s just you on a training or conference call. Walk up and down halls, stairwells, or even parking lots and garages. Try some easy exercises at your desk when you feel tension setting in, such as shoulder shrugs, neck rolls, torso twists, or seated leg extensions. If any of your aches and pains are severe, or persist over a long period of time, please contact us for an appointment. From the tiniest ballerina to the most senior troupe or company girl “on pointe,” many dancers dream of playing a part in the family favorite and holiday tradition that is the Nutcracker Ballet. But it’s not all gumdrops and sugar plum fairies. In fact, dancing can be downright painful. Dancers are at risk for a number of injuries, not unlike the common sports variety that we treat daily here at Texas Orthopedics. Similar to athletes, dancers must perform incredible tasks with muscular strength and flexibility, all while projecting an image of effortlessness and grace. If your dancer has suffered a fall, or has extreme pain or swelling of any kind, seek medical help immediately. If he or she experiences a nagging pain that does not subside after a few days of rest and over-the-counter pain medication, please contact us for an appointment.